The Settings menu item is the first step in initial setup. It defines your location, including address, phone, etc. 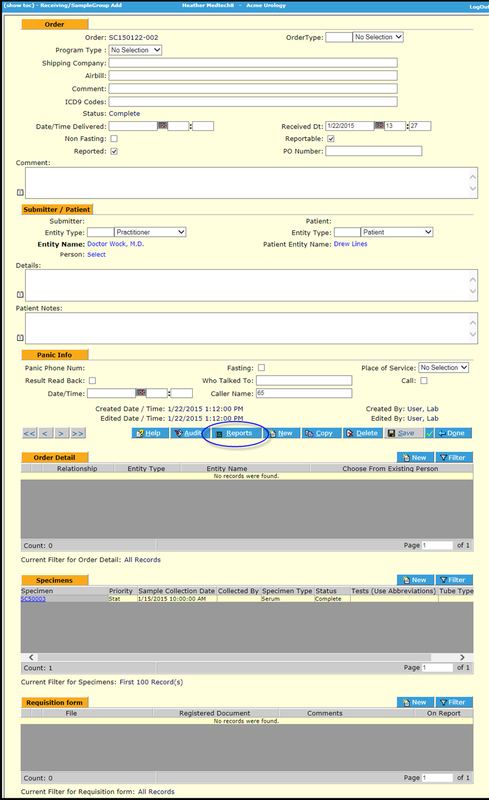 and, importantly, it is where your lab’s logo is uploaded so that it displays on the Order Report along with the other information. It also allows for the Lab Director and CLIA number to be displayed, in compliance with regulations. Navigate to the Settings menu item. Fill in all information you would like displayed on the Patient Results Report. In many cases, Lab Director is required or at least advisable to include. On the Settings menu item page, click the Upload icon , then browse and select the logo you would like to use. You may need to scale your logo to best display on the report. You will need to check the Patient Report to see how it looks. 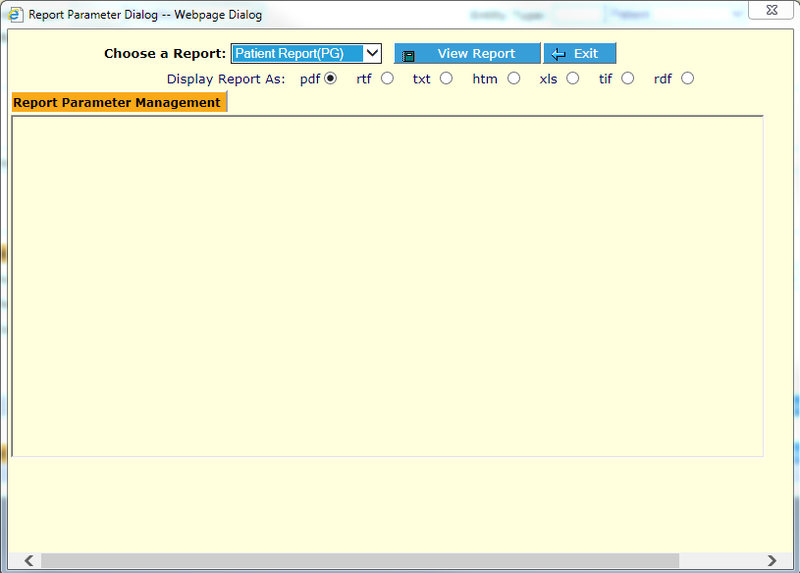 One way to do this is to go to the Order Management menu item and select an order to view its detail screen, then click on the Reports button. Now click View Report . The Order will be pre-selected with the Order Number of the screen where you clicked the Reports button. You can further select a particular specimen from that report if desired, but for the purposes of just reviewing how your logo and information look on the report, just click the Preview button. 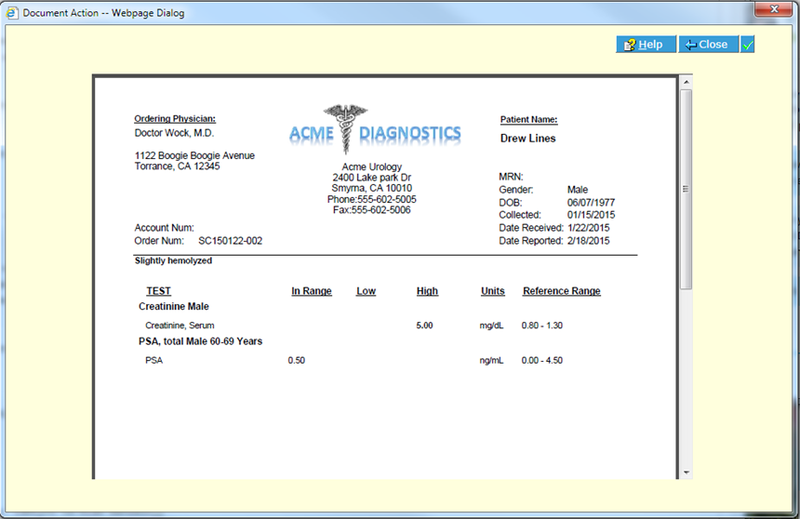 The Patient Results Report displays, showing logo and Location information. If the image or details need changing, use the procedures above, then review until satisfactory.